As part of Berkshire Theatre’s 90th anniversary season, BTG is proud to present The Petrified Forest by Robert E. Sherwood. 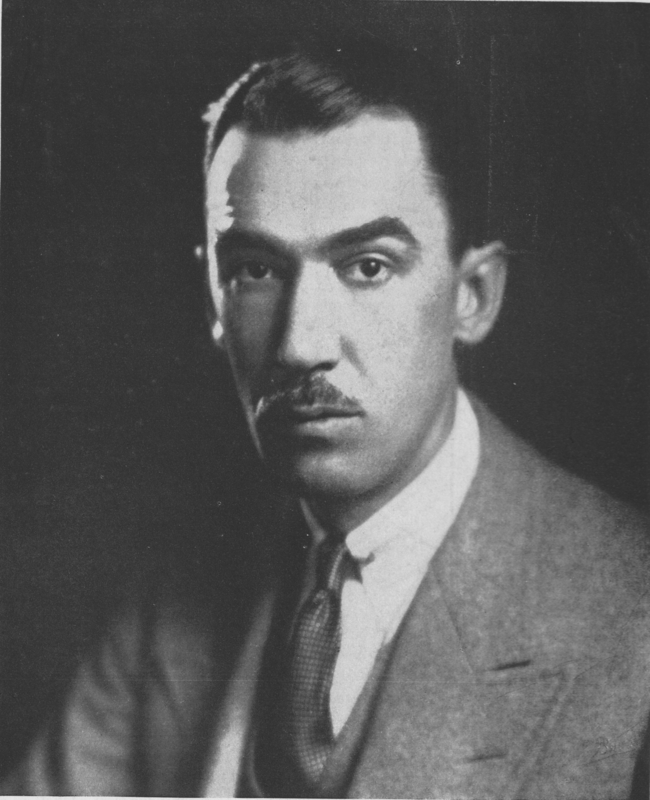 Berkshire Theatre and the Sherwood family have a long history together. 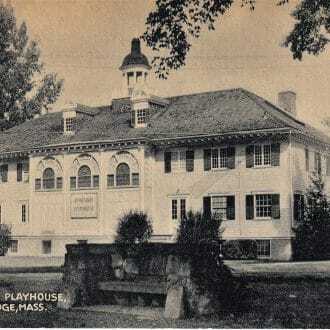 Throughout the decades, three of Sherwood’s plays have been produced on the Fitzpatrick Main Stage (formerly the Berkshire Playhouse). Robert Sherwood grew up in a family of five siblings who enjoyed summers in Stockbridge with their mother and aunt who were both fine art painters. His brother, Philip Sherwood, saved copies of each one of Robert Sherwood’s plays. Robert Sherwood’s two sisters also had ties to the theatre. Cynthia Sherwood performed in a number of plays at the Playhouse including starring alongside Ethel Barrymore in Déclassé. Rosamond “Ros” Sherwood, an artist and piano player herself, served as a member of the BTF Board of Directors for 36 years from 1953 until 1989. 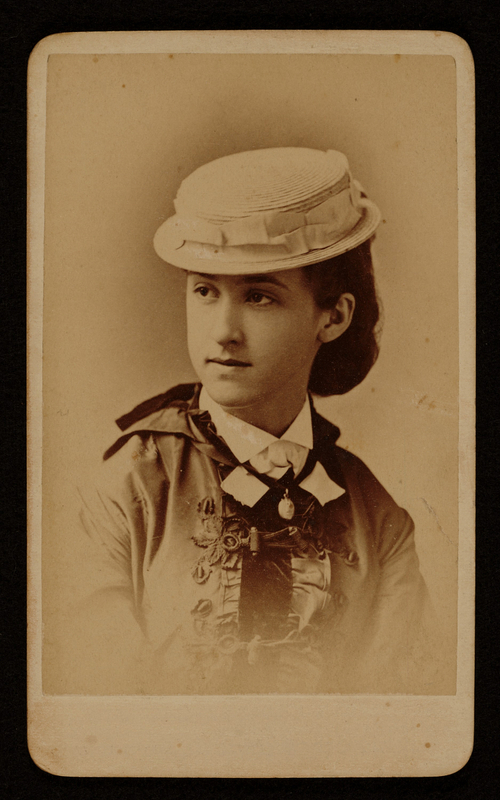 She also housed actors in her home, known as Strawberry Hill, where she lived year-round on Yale Hill Road. 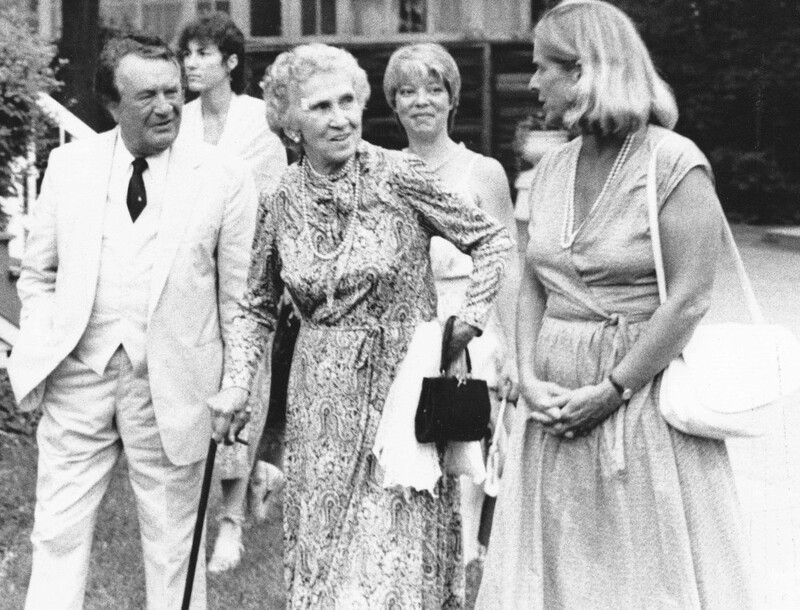 Berkshire Theatre’s Archivist sat down with Philip Sherwood’s granddaughter, Ramelle Pulitzer, at her home that is the cottage where the Sherwood siblings visited over many a summer in Stockbridge. From the living room, we look up the hill where you can see the log house that Great Aunt Ros built in 1949, and her home, Strawberry Hill is through the woods, directly up there. My brother has the small Farm House down that lane that he rents to the BTF, to you, to house some of your backstage full season folks. Strawberry Hill was built by Great Aunt Lydia Field Emmet [Robert Sherwood’s Aunt] in 1904. She was very much a part of her nieces’ and nephews’ lives and contributed to their wellbeing. When she sold a portrait, she might just invest in a bit more acreage or build this little cottage, or purchase a share of an apartment in New York. Lydia was painted by John Singer Sargent, and Lydia and her sister Rosina [Robert Sherwood’s mother] went to Paris where they painted with Sargent and all of the others—there was an exhibit at the MET last year on this. 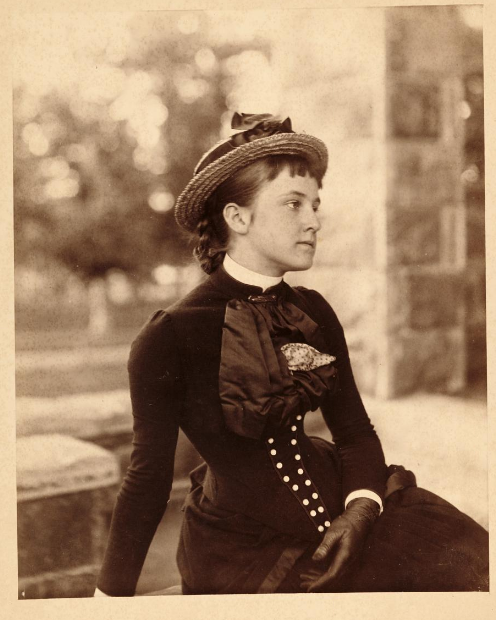 (Pictured to the right: Lydia Emmet Field, photo courtesy of the Smithsonian Archives of American Art.) Lydia did a wonderful portrait of Philip’s son, known as Philby. He was the oldest, then another Rosina, and then my mother, Theodosia. This Philby portrait, done in 1928, may have been painted at the Studio on the grounds of Strawberry Hill. In the vein of Winslow Homer, it is a boy with a hat with a cat on his lap. The painting received an award from the Ecole des Beaux-Arts in Paris. I believe they shipped several at a time from NYC to be considered to hang in the famous art school studio. Lydia was one of the first women to receive an award from the prestigious French Academy. Great Aunt Lyd actually built this cottage and the garage back there as an attachment. One of the garages turned into a bedroom, and the other was designed to be a second bedroom or a studio. It had a big huge sofa bed in it, that’s what we’d call it today, it was a long rectangle with a topographically interesting mattress, known as Mossy Banks. That was the only place that Robert Sherwood could sleep because it was seven feet long and he was very tall. He slept out there when he visited, which was rarely by the time I came along. Of course, as we grew up, in the later 50’s we’d complain about this lumpy and maybe even mossy old mattress. Can you image the retort? If Robert Sherwood slept here…it was good to know that and put up and enjoy it. I have a collection of his plays, some are several of the same copy as if the actors left them here. I think this is all the plays that Bob Sherwood wrote. They come from my Grandfather’s collection. I can’t wait to read Petrified Forest again. I’ve re-watched the movie, as Kate suggested, that follows the text of the play very closely. 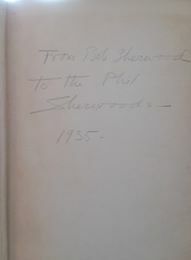 The title page is signed “From Bob Sherwood to the Phil Sherwoods, 1935” (pictured to the left below). Sherwood spent most of his time in New York, and he would come up here in the summertime as we all did. Robert Sherwood had worked during WWII with Franklin Delano Roosevelt. After four years of being one of the speechwriters for Roosevelt, he wrote this lengthy volume called Roosevelt and Hopkins. This book was what he was working on when I was little. When it was first published, I remember him coming up here to Stockbridge. Roosevelt and Hopkins is a very personal dissertation, in the first person, of what it was like to be heading into war, what the decisions were, who knew what and when. As well as what his own experiences were. Not unlike a journal or a commentary that somebody might be doing today. Except he wanted to be accurate. He was writing the history. It took him years to edit. Early in the book is the segment about the “Four Freedoms,” the speech that FDR gave in 1941. Robert Sherwood says early in this book that it was FDR’s own words. Nonetheless, Robert Sherwood was, I think, an amazing writer; he lilts along in a natural and beautiful, unassuming prose. On the wall right by the windows is a portrait of him painted by his mother, WWI, 1917 (pictured to the right). He was 6’5 or 7 (why can’t I remember this) and too tall for the American army, so he enlisted in the Canadian Black Watch. 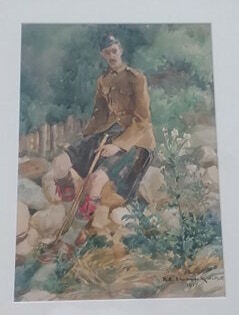 Here he is sitting outside on a rock in a natural setting with his long legs extending from his kilt and very handsome suit. He looks just like all the other Sherwoods with beautiful blue eyes, and really sculpted faces. The men usually wore mustaches. I am not sure where this was painted. He may be sitting at home before he goes off. She also did two portraits in Manila where he was stationed in the Philippines. My sister (another Rosina!) has those portraits out in Pasadena. The wars had a profound effect on Robert Sherwood, and after working for years as a speechwriter, he never really wrote plays or screenplays the way he had before. The darkness that he saw definitely ushered in a new era of his work. My Grandfather, Philip, was a colonel in the cavalry in 1917, I have a very early photograph, left here in the cottage, of him on his horse in Arizona. He was the older brother and was probably the most practical of all of them to go into the military as a career. Robert was a playwright, and Ros was a ragtime piano player in the Silent Movies. She had an upright piano and she could start up a party anytime, though it took lots of encouragement to get her to play. She was great fun, and by the way, also an extraordinary golfer. At the Stockbridge golf club where my father loved to play golf, too, she was as good as any of the players. They named a women’s golf tournament after her. She started it because there wasn’t a way for women to enjoy the competition of the game! There are several significant tournaments at the Stockbridge Golf Club, one of which is the qualifying course for the US Open, and Ros made sure that women are a part of that. The arts have always drawn our family to Stockbridge, whether theatrical or visual. My daughter is an artist, and my aunt and an uncle, Rosina and Jack Coolidge loved to visit here. They even braved the winters in the late 1950’s to live here and work with Norman Rockwell who had moved right here from Arlington, VT. It turned out to be too cold and too remote for them then, and now I can really understand that! 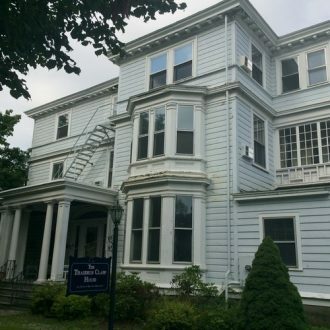 Though Robert Sherwood didn’t live here year-round, he has deep ties to Stockbridge. We find it great fun to keep small tokens of their lives here to remember. The Sherwoods and Emmets certainly have a long connection to the arts here in this wonderful village.